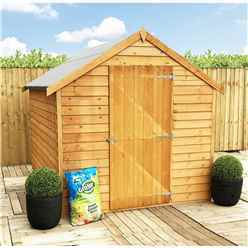 Our best selling 5ft x 7ft wooden garden sheds is an ideal garden storage solution for your garden and comes with Free Delivery* and we offer an Express Delivery Service – 48hr, SAT, PICK-A-DAY to a number of postcodes (please check each product page for more details). All our sheds are provided factory dipped which will last you 4-5 weeks before you need to treat your shed. We do though recommend you treat your shed as soon as you have built it. We sell treatment and this can be selected from the accessories on the shed product page. Once you have chosen your shed we offer a number of additional options such as Treatment, Shelving, Solar Lights and Padlocks to enhance your shed. 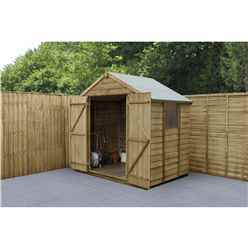 On a number of sheds we offer an installation service. Please check each page for further information. Delivery time for a shed with the installation service will typically be longer than the standard delivery times quoted, dependent upon the availability of an installation team.